There’s long been a saying in our industry that “The only thing constant in retail is change”. That remains as true today as it has ever been, perhaps even more so. Increasingly, we see that customers no longer do just one ‘big shop’ a week – they shop more frequently, both online and in stores, at times to suit them. As retailers, our job is to serve their needs – be that through the technology we develop or ensuring we have great colleagues in our stores at the right times doing the right jobs to serve them. Our colleagues do an amazing job for our customers, serving them with all the Asda personality that they are renowned for. So we want to reward them for that, but we also recognise that we need to change the way we operate if we are to enable our colleagues to continue to provide the level of service our customers expect. We identified that need for change in 2017 and introduced a new contract to colleagues that offered an increased pay rate of £8.50 per hour but also asked for greater levels of flexibility in terms of the times they worked or the department they worked in. Over 50,000 of our retail colleagues are already on this contract, whilst others chose to remain on a variety of five other contract types already in place. Over the past two years, we’ve embedded the new ways of working into our stores and listened to feedback from those of our colleagues who felt the new contract wasn’t right for them. We’ve listened and learned from our colleagues and made changes to address their concerns about what ‘flexibility’ looks like – that we won’t ask them to work in a different shop, or change their hours or rota at no notice. We also respect that colleagues have a life and commitments outside of work. At the same time we’ve recognised that that the pace of change in our industry requires all our colleagues to be prepared to be a little more flexible in order to deliver the best service for our customers. Our competitors are already working in this way, and we need to change to meet the demands of our sector. That is why we have announced proposals to move all our retail colleagues to a new higher rate of pay of £9 per hour, as well as continuing to offer our colleagues a bonus, discount, sharesave and pension. Colleagues would also be asked to agree to work more flexible times and departments in their store, as well as forgo paid breaks. Similar proposals were recently voted on in Northern Ireland as part of a collective bargaining agreement, where they were recommended for approval by union USDAW and at a ballot were accepted by a yes vote by 84% of members on a turnout of 87%. 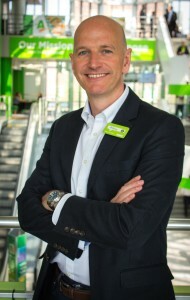 Fundamentally, these proposals are about increasing our basic rate of pay and aligning the way of working in our stores so that everyone has the same contract, making it fairer to all colleagues and ensuring we can consistently provide the best service to our customers – which means we’d all be part of a stronger Asda business, fit for the future.